Time to wrap up our look at the S.H. Figuarts Dragonball Z / Super exclusives with a round of more artistic shots. * We wanted to get those base shots out quick over the weekend so people could see what they could expect and get some comparison with older versions. * Now the fun stuff :). * Broly, Cell and Vegito will all be available at the Dragonball Tour stops across North America for the rest of the year. * The first stop of that tour – San Diego Comic Con! * Each will come in event exclusive packaging, with Vegito getting &#187; Continue Reading. The post Broly, Cell &#038; Vegito – S.H. 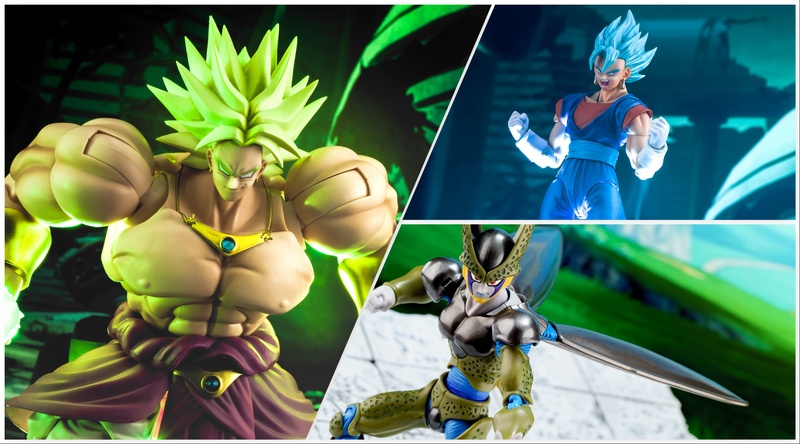 Figuarts SDCC / Dragonball Tour Exclusives Closer Look appeared first on The Toyark - News.